For a business owner, obtaining the right information is as important as finding the right location, or getting the best price. The Small Business Development Center in New York is one of only a few SBDCs in the U.S. with a full-time library (which we call the Research Network). Its services are available for free, but only to New York SBDC clients. For those who track trends, this is the most important time of the year. It's when we get a status update on the economic well-being of the nation's households. The Census Bureau releases the latest income data from the Current Population Survey. The Bureau of Labor Statistics releases the latest spending data from the Consumer Expenditure Survey. An added bonus this year is the Federal Reserve Board's release of findings from the triennial Survey of Consumer Finances. All three surveys tell the same story: the average American is still struggling to recover from the Great Recession. The $51,939 median household income of 2013 was not significantly different from the $51,758 of 2012, after adjusting for inflation. This is the second year in a row of no significant change in median household income, according to the Census Bureau, following two years of decline. Median household income in 2013 was 8.0 percent below the median of 2007 (the Great Recession officially began in December 2007), after adjusting for inflation. But 2007 was nothing special as far as median household income is concerned because the median had peaked years before that--all the way back in 1999 at $56,895. Median household income in 2013 was 8.7 percent below that all-time high. What Happened to Peak Earners? Median household income peaks in the 45-to-54 age group. But the peak is smaller than it once was because middle-aged Americans have lost so much ground over the years, according to the Census Bureau's Current Population Survey. In 1999, the year when the nation's median household income reached its all-time high, the median income of households headed by 45-to-54-year-olds was 40 percent greater than the overall median: $79,550 versus $56,895 (in 2013 dollars). Today, however, the median income of householders aged 45 to 54 is just 29 percent greater than the overall median: $67,141 versus $51,939. Between 1999 and 2013, the median income of householders aged 45 to 54 fell by a stunning 15.6 percent--a loss of more than $12,000. Reflecting the economic instability affecting so many Americans, the number of households in the United States increased by a tiny 0.4 percent between 2013 and 2014, according to the Census Bureau. In only two of the past forty years have households grown more slowly (in 2008-09 and 2009-10). The 492,000 households added to the nation's total between 2013 and 2014 is the fourth smallest numerical gain in four decades of tracking the numbers (smaller gains were recorded in 1982-83, 2008-09, and 2009-10). Also notable, the number of non-Hispanic White households fell slightly between 2013 and 2014. This decline marks only the fourth time in forty years that the Census Bureau has estimated a drop in the number of non-Hispanic White households. Nearly one-third of the nation's households are now headed by Blacks, Asians, or Hispanics. Black households outnumber Hispanic households by more than 1 million, and they grew faster than Hispanic households between 2013 and 2014 (a 1.8 percent gain for Blacks versus a 1.4 percent gain for Hispanics). Asian households are far less numerous than Black or Hispanic, but they grew by a faster 4.1 percent between 2013 and 2014. The number of households barely increased between 2013 and 2014, according to the Census Bureau's Current Population Survey. That's because of the decline in the number of households headed by people ranging in age from 25 to 54. The decline in households headed by people aged 35 to 54 is due to the small Generation X moving into those age groups. The increase in households headed by people aged 55 or older is due to the large Baby-Boom generation moving into those age groups. The troubling number, and a sign of economic distress, is the decline in households headed by 25-to-34-year-olds, a group that should be expanding with the Millennial generation. Average household spending peaked in 2006, just prior to the Great Recession, and has yet to recover. In 2013, the average household spent just $51,100, according to the latest numbers from the Consumer Expenditure Survey. This is 2.1 percent less than the average household spent in 2012 and fully 8.6 percent less than it spent in 2006, after adjusting for inflation. The 2012-13 spending decline of 2.1 percent is equal to the decline that occurred between 2007 and 2008, in the midst of the Great Recession. Average household spending fell 8.6 percent between 2006 (the peak year) and 2013, after adjusting for inflation--from $55,926 to $51,100. According to a Demo Memo analysis of the Consumer Expenditure Survey, only 16 percent of the $4,826 decline in average household spending during those years was due to the aging of the population--a consequence of the large Baby-Boom generation getting older, retiring, and reducing its spending. Most of the decline in average household spending was due to budget cutting in all but the oldest age group. In dollar terms, households headed by people aged 35 to 44 cut their spending the most. In 2013, these households spent a substantial $7,632 less than they did in 2006, after adjusting for inflation. According to the latest data from the Consumer Expenditure Survey, the Northeast is the only region in which average household spending in 2013 exceeded spending in 2006 (the peak spending year, nationally), after adjusting for inflation. Households in the Northeast are now the biggest spenders. At the other extreme, households in the South spend the least and are losing ground. In dollar terms, the household spending gap between the Northeast and South has more than doubled, rising from $5,388 in 2006 to $11,071 in 2013. More bad news: Americans are still reeling from the Great Recession, according to findings from the 2013 Survey of Consumer Finances. Median household net worth fell 40 percent between 2007 and 2013, after adjusting for inflation. Most of the decline occurred between 2007 and 2010, but net worth continued to drift down between 2010 and 2013. Many households experienced double-digit declines in net worth between 2010 and 2013, after adjusting for inflation. Households headed by people aged 45 to 54, for example, saw their net worth fall by an additional 17 percent during those years, following a 39 percent decline between 2007 and 2010. Other household segments with double-digit declines in net worth between 2010 and 2013 were those headed by people 55 to 64, aged 75 or older, without a high school diploma, with only some college, and the broad segment "nonwhites or Hispanics." 34% of households say they are worse off financially than they were five years ago. 45% did not save any portion of their income in 2012. 58% do not have a rainy day fund that could cover expenses for three months. 45% of renters say they rent because they can't afford a down payment. 24% of households have education debt, owing a median of $15,000. 37% of those with education debt say the cost outweighs the benefits. 44% of households bought lottery tickets in the past year; only 33% own stock. 54% would have to go into debt or would be unable to pay an unexpected $400 bill. 28% of householders aged 60-plus say their retirement plan is to keep working. Renters aren't becoming homeowners like they once did. But is that because they don't want to own a home or because they can't afford to buy? To find the answer, the Federal Reserve Bank of New York added a series of questions to its Survey of Consumer Expectations, fielded in February. Were renters planning on moving in the next three years? Among those who planned to move, would they rent or buy their next home? If they did not plan to buy, why not? It turns out most renters who plan to move and rent rather than buy just don't have the money to become homeowners. The 56 percent majority of these potential home buyers say they don't have enough money saved or they have too much debt to buy. These are a sampling of posts published in the past few weeks in Cheryl Russell's Demo Memo blog. Please send questions or comments to demographics@newstrategist.com. Far too often I see business owners and entrepreneurs just getting started that simply don’t value what they do enough because they don’t have the validation that comes with landing high-paying clients. In short, in an effort to gain some traction and some exposure, they give everything away freely, or worse, get talked into doing things for people that don’t value what’s being given. Here’s the deal though – everything you do has some value and you simply must start thinking this way if you even expect to rise above a meager existence. You must start to think about how to exchange value for everything you do. Now, don’t get me wrong, there are times when you determine to do someone a favor or support a cause or mission with no thought of being paid for your time – that’s not what I’m talking about. I’m talking about that instance when someone – often able to pay – wants you to provide a service for free or for a discount. Or that event that promises to give you great exposure if you come do your workshop without compensation. These FAQs are meant to provide general guidance on topics of interest to taxpayers. However, taxpayers should be aware that subsequent changes in the Tax Law or its interpretation may affect the accuracy of an FAQ. The information provided in these FAQs does not cover every situation and is not intended to replace the law or change its meaning. Q. Does business capital include the capital that generates other exempt income? A. Yes, because this capital may also generate taxable business income, such as capital gains from the sale of stock in a unitary corporation that is not included in a combined report with the taxpayer. Q. Are Internal Revenue Code Section 78 gross-up dividends included in the business income base? A. Our current policy of excluding these dividends is being continued. See NYS Tax Law section 208.9(a)(6). Q. Will New York State consider a corporation instantly unitary with a taxpayer when acquired? A. It is a facts and circumstances determination upon acquisition. Q. Does corporate tax reform change the method for determining partnership income of a corporate partner? A. No. The current aggregate theory approach where partnership items of receipts, income, gain, loss, and deduction flow through a partnership to a corporate partner as well as gains or losses from the sale of a partnership interest itself is continued. Q. For purposes of determining nexus, is the $1 million or more in receipts within New York State test applied at the partnership level or the corporate partner level? A. The test is determined by combining the general partner’s receipts in NY with the partnership’s receipts in NY. Partnership A has 2 general partners: Partner B who owns 60% of the partnership and Partner C who owns 40%. Partnership A has $600,000 of receipts in NY. Separately, Partner B has $700,000 of receipts in NY and Partner C has $450,000 of receipts in NY. For purposes of determining nexus only, both partners B and C would be treated as having $600,000 from the partnership. Combined with their own receipts, both general partners exceed $1 million in receipts in NY ($1,300,000 for Partner B and $1,050,000 for Partner C). Therefore, both general partners are subject to tax. Who doesn’t love a good deal when online shopping? Pretty much everyone. But not all offers are created equal, and in July 2014 polling by Retention Science, percentage discounts led the pack as the most effective customer incentive. However, a Q2 2014 study by Flagship Research for BlueHornet found age played a big role in whether US internet users preferred a percentage discount vs. free shipping. Consumers ages 18 to 45 favored discounts, while 46- to 75-year-olds preferred free shipping — indeed, shipping costs are a top digital shopping pet peeve for older generations. Here’s what you know: your accountant can do your taxes. But here’s what you might not know: your accountant can also help you accomplish your business goals. Accountants build up both financial and business acumen throughout their careers, and they’re often willing to share their knowledge with clients. This is an opportunity for businesses to meet, one-on-one, with representatives from the colleges, federal agencies, state and local governments and large regional institutions. Agencies and prime contractors are looking to source products and services from local small businesses. Matchmaking is like ‘Speed-dating’. You will sign up for 10 minute meetings with individual agencies and have that short time to network and share marketing materials. When the bell rings, you move to the next agency on your schedule. Sign-up with agencies will take place between 8:00 - 8:45 am. Businesses are invited to learn how to market and sell under contracts with private, public, state and federal entities through online training webinars. Small businesses participating in the Matchmaker have the opportunity to get individualized guidance to help them prepare and get the most out of the day by meeting individually with the SBDC and PTAC on Tuesday, September 30 where they will be able to get assistance in developing marketing materials to effectively target purchasing officers from colleges, federal agencies, state and local governments, large regional institutions and major industries in the North Country. Businesses unable to meet on September 30 can make an appointment with an SBDC business advisor* to prepare marketing materials, identify certifications, ask questions and gain a basic understanding of procurement opportunities. *This counseling is always offered confidentially and free of charge. Network with local resource representatives and exhibitors during the event. Promote your products or services during 10 minute, one-on-one meetings. Whether your company is already committed to selling to the government or you'd like to start diversifying sales, you won't want to miss this matchmaker conference. View our current list of Agencies and Primes. Pre-registered business participants will be given priority scheduling time at 8:00 am. Day-of registered business participants will enter scheduling room after registration at 8:20 am. Doors open at 8:00 am for check-in. Meeting sign-up begins at 8:00 (pre-registered) and 8:20 (day-of registered). When entering campus, take right at split in road. You will take second left and park in designated lots. Permits will be sent to pre-registered participants. Others will receive day of. Parking in Lot 13 or 1. Handicap Parking available in Lot 13. To increase orders from your current customers and find new clients, plan a business trip. Travel, an important tool in your small-business tool kit, is an investment in growing and sustaining your business. And as with any investment, you want to get the highest return—in this case, your return on travel. Businesses get an average return of $9.50 for every travel dollar they spend, according to a study the U.S. Travel Association sponsored, which Oxford Economics conducted. And it’s clear why business travel makes sense. In-person interactions close sales and deepen relationships. One obstacle that keeps business owners from traveling is the belief that they must be on-premise to run their businesses. Can you entrust team members with more of the daily operations so you can focus more on business development? Can you adopt cloud solutions and apps that allow you to be a more effective mobile manager? Traveling for your small business is crucial for growth. But it can also be stressful. As the owner of a publishing company and as a public speaker, I’m out there every month meeting with clients and distributors or attending industry events, such as the ASBDC Conference. Fortunately, technology makes it easy for me to prepare for meetings, work efficiently while I’m away, and manage my business on the road. These 21 apps have helped me be a Smart Small Business Traveler. In the past decade, businesses have had to jump on the digital train to stay on top of new trends, capitalize on new markets, and expand reach. From social media channels to review sites like Yelp, there’s a lot for entrepreneurs to monitor in the instant feedback, smartphone-crazed world we live in. Yelp, for instance, can have a big impact on the growth of your business. This review site allows customers to rate your business and leave feedback about their experience. If you’re not actively seeking feedback, monitoring the comments, and publicizing the positive reviews customers leave, you’re probably behind the digital eight ball. Are you looking to fund research or start a technology business? Come and learn about how local entrepreneurs built theoretical business models into viable technology companies. The program is open to students, faculty, researchers, alumni, and the general public, so reserve your seat today. 8:00 a.m. to 8:30 a.m.
On September 25th, the Albany SBDC will be hosting its 3rd annual technology conference. Students, faculty, and staff from all colleges and organizations are welcome, along with all SBDC statewide staff. The program is focused on startup and funding best practices from experts and local entrepreneurs. The conference features SBIR guru Drake Thomas of Brockport SBDC, and a keynote interview with Bob Godgart, founder of Autotask. Autotask was recently purchased by a venture capital firm for an undisclosed multi-million dollars. Please let us know if you would like to attend. 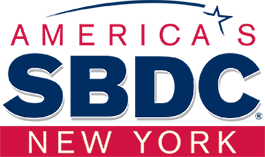 The New York State Small Business Development Center (SBDC), based at the University at Albany’s School of Business, has been awarded the University’s President’s Awards for Exemplary Community Engagement in 2013 and 2014, a recipient of a Tribecca Disruptive Innovation Award (http://www.albany.edu/news/23644.php. ), and named among the top ten centers in the nation by the U.S. Small Business Administration in 2009 and 2013. (http://www.albany.edu/news/release_6198.php). As an SMB owner, you want to maximize the investments you’ve made in your business. You want to get more done in less time. And you want to ensure you’re communicating effectively with customers and employees. The right technology can help you do both. Here are three ways you can ensure you’re making the right technology decisions for your business. 1. Know that “free” often comes at a cost. More from the America's SBDC. Branding your business is tricky. You have to make sure it comes across as appealing, a ‘must have’ brand that’s not too pretentious. Over time, your company will change leading to a need to refine your brand image, but even the smallest of changes can affect your target market and their perception of your brand. Clive Rohald has written an interesting article in The Drum about how to give your brand identity a makeover without alienating your customers. Here are some of his thoughts. Every company, at one time or another, will feel the need for a brand refresh. The question is, how can that be achieved without it turning into a disaster. 1. Why is there a need for change? Why do people buy from you? It boils down to two things: they found you, and they picked you. Let's talk about "they found you." To get people to find you, you've got to tell them about yourself or someone else has to tell other people about you. If you're the only grocery store in your town, you don't have a problem with people finding you. You stick a sign outside and reach 100% of your target market. Most of us, however, spend a lot of brain cycles trying to figure out how to tell the world about our thing. We use ads, content, social media, and so on to try to spread the word. Moreover, getting someone's attention is becoming increasingly difficult. The amount of stuff being created today—such as photos, tweets, blog posts, Facebook posts, YouTube videos, and emails—is making it hard for our message to squeeze its way into people's limited attention span. In theory, entrepreneurship sounds awesome. You’re your own boss so you can set your own hours, work from home in your PJs and do work that really matters to you. But as any entrepreneur will tell you, starting your own business is not nearly as glamorous. In fact, it can often be pretty scary and lonely. Entrepreneurs take a great financial risk to get their ventures off the ground, often using their own savings and quitting steady jobs to pursue their dreams. Yes, entrepreneurs make their own hours, but they put in many more of them than the average employee (often 12 a day or more) and, still, they face a high failure rate. Entrepreneur values those who choose to create their own path, and we’re not alone. Empact, a Princeton, N.J.-based company that provides education and networking opportunities to young entrepreneurs, today released its annual list of 100 startups led by entrepreneurs under 35 that should be on everyone’s radar. Those chosen for the Empact100 stood out among hundreds of submissions and impressed an all-star panel... Decisions were based on factors such as revenue, social impact, volunteer hours, growth over the past year and the number of employees. We took the Empact100 and distilled it further, finding the 30 startups we think are most unique and have the potential to transform their industries, if not the world. While there were many impressive companies to choose from, these are the ones that excited us most. Keep your eye out for them, and be prepared to tell your hipster friends that you heard of them before they got huge. #1 The fake freight forwarder company scam. The fraudulent forwarders pose as legitimate companies with spare cargo capacity. Their truck arrives on-time to collect the freight and then disappears, never again to be seen. Here is how it works: Once a signed and sealed agency agreement is in place between both parties and business starts, all appears to be normal. This is until the cargo arrives at the port and no-one has received the original bill of lading from the forwarder in China. When contacted, the forwarder demands a large ransom for the release of the original bill of lading. Companies which refuse to pay find themselves on an expensive rollercoaster ride of meetings with customers, lawyers, insurers and shipping lines in order to obtain the original bill of lading so the cargo can be released. By spreading shipments around a number of shipping lines, fraudulent forwarders can make this recovery process even more onerous. These forwarders may be real companies who are just out for the quick kill, or fraudulent companies that are not registered in China at all as a freight forwarder, making it more difficult to take any recourse. How Much Do Retail Marketers Personalize Websites and Emails? Nearly one-third (31%) of online retailers in the United States with annual marketing budgets exceeding $1 million do not personalize their websites in any way, according to a recent report from Retention Science. Moreover, of the 69% of companies that do personalize their sites, just 21% offer personalized offers to visitors. A similar percentage (33%) of online retailers with annual marketing budgets under $1 million also do not personalize their websites; of the 67% that do, only 16% present personalized offers. The most popular form of website personalization for large and small companies is product recommendations. Other common site personalization tactics include shopping cart reminders, displaying a customer's name, and social integrations. The Office of Advocacy has released its Small Business Quarterly Bulletin for Second Quarter 2014. This two-page publication includes figures and tables of economic indicators to show the status of small business. This latest quarterly bulletin shows promising signs for small businesses. The bulletin includes data about proprietors' income, establishment births and deaths and various small business employment variables. The Small Business Quarterly Bulletin for Second Quarter 2014 is available online at http://www.sba.gov/sites/default/files/advocacy/sb_qi_2014q2_FIN_0.pdf. When it comes to New York, bagels are serious business. And they may also be taxable business -- if a knife comes out. New York, like many other states, exempts groceries from its sales tax. Walk into a bagel place, order a dozen, buy some name brand cream cheese, and go on your way -- that feels like you're grabbing some groceries, and should be left untaxed. New York agrees. You pay the posted price and the state goes empty handed. But what about one of those bagels, cut in a half, toasted, with some store-made scallion cream cheese, some lox, lettuce, and tomato, with some iced coffee to go with it? More from Now I Know. Brands have been focused on engaging female consumers for some time now, and with good reason. Women have truly impressive purchasing prowess—$5 trillion to $15 trillion annually, according to consumer research by Nielsen. What many brand leaders are missing, however, is that even though women have been controlling the purse strings, men are shopping more. That means branding and design of packaging, seasonal retail themes, product attributes, etc. don't merely have to engage women: They need to do it without losing the men. Branding for women can be people-inclusive. Here are the five characteristics that can make it so. Way too often, you can add up the percent of ownership in the heads of the partners and discover between them they think they own 200% of the company. That’s because one thinks the idea was worth 50% or more of the ownership, the other thinks the day-to-day work was worth 50% or more of the ownership, and another thinks having written checks and invested was worth 50% or more of the ownership. What I particularly hate in this context is when people spend the time and do the work and develop the business without spelling these things out, and then, when it’s way too late, discover that they had radically different ideas about who owns what. This is a great use of the business plan. If there’s awkwardness about who owns what when friends and family are involved, you solve that with the need to spell it all out for the plan. Don’t wait. Don’t wonder. Talk it out. The business plan is a built-in natural format that all of you can understand. The key here is to get it in writing. That doesn't mean legal contracts written and negotiated by attorneys, at least not in normal cases, and not in the beginning. Kevin Jones just did what he felt was right, but you might think of him as a hero once you hear his story. When Jones was hassled by debt collectors to pay a bill he didn’t owe, he did more than tell them to get lost. He sued — and got $1,000 and a whole lot of satisfaction. Here’s how. Jones, 53, provided to Credit.com an amazingly detailed record of events related to his lawsuit, which was filed in a Cook County, Illinois federal court. The first troublesome phone call came in 2007, but the formula he used to exact sweet revenge on the debt collection firm would work equally well today. The call came on a Thursday night in November, said Jones, who lives in Evanston, Ill. It was an automated call; he didn’t answer, but he did call back. Warm weather facilitates family vacations, outdoor activities and cold refreshment sales, providing several industries with an opportunity to generate enough revenue to sail through the rest of the year. These seasonal industries struggle to remain lucrative throughout the winter months, as frigid temperatures and annual changes in consumer behavior challenge profitability. While many seasonal industry operators anticipate May’s arrival, when demand increases as the sun also rises, these six industries are determined to make a splash year-round, come rain or shine. Summer is nearly over, signaling the start of school for students and teachers and the end of the fiscal year for the federal government and businesses throughout the country. This change of seasons is also a good opportunity to take a break from the frantic day-to-day grind and find new ways to reboot your small business. Let’s call it a bit of spring-cleaning for fall. *Glance back at your new year’s goals. All telemarketers calling consumers in the United States are required to download the numbers on the Do Not Call Registry to ensure they do not call those who have registered their phone numbers. The first five area codes are free, and organizations that are exempt from the Do Not Call rules, such as some charitable organizations, may obtain the entire list for free. Telemarketers must subscribe each year for access to the Registry numbers. The access fees for the Registry are being increased as required by the Do‑Not‑Call Registry Fee Extension Act of 2007. Under the Act’s provisions, in fiscal year 2015 (from October 1, 2014 toSeptember 30, 2015), telemarketers will pay $60, an increase of $1, for access to Registry phone numbers in a single area code, up to a maximum charge of $16,482 for all area codes nationwide, an increase from the previous maximum of $16,228. Telemarketers will pay the same as last year for numbers they subscribe to receive during the second half of the 12‑month subscription period, $30 per area code. For consumers who want to add their phone number to the Registry, registration is free and does not expire. From the Small Business Administration. New taxpayers, such as recent graduates who’ve just entered the job market, probably have a clean tax slate. But seasoned taxpayers have a history that can impact their taxes going forward. Due to limitations and restrictions, some tax breaks cannot be fully used in the year in which they are generated but can be carried over and used in other years. Failing to know what these are and keep track of them wastes valuable tax breaks that can cost you money. The IRS broadcasts webinars on a variety of subjects aimed at educating tax professionals on issues affecting them and their clients. The webinars are free. The Research Network aims the content of this blog primarily at the New York Small Business Development Center (NY SBDC) community on the kinds of things we encounter every day. Views expressed are those of the Research Network staff, and not necessarily those of the New York SBDC or its partners. Comments to an individual post are encouraged. Such comments will be monitored, so please, keep them clean and professional. § 131. Definition of a small business. For the purposes of this chapter, a small business shall be deemed to be one which is resident in this state, independently owned and operated, not dominant in its field and employs one hundred or less persons. The NYS SBDC, administered by the State University of New York, is funded in part through a cooperative agreement with the U.S. Small Business Administration. All opinions, conclusions or recommendations expressed are those of the author(s) and do not necessarily reflect the views of the SBA.